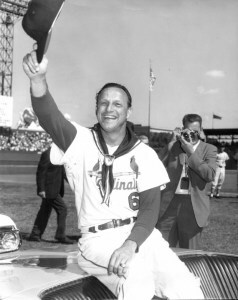 This entry was posted in Character, Names, Sports and tagged baseball, ford frick, Jackie Robinson, Karl Erskine, legends of the game, names, National Sportsmanship Awards, Preacher Roe, St. Louis Cardinals, Stan Musial, Stan the Man. Bookmark the permalink. ‘NAMESAKE’ – this is a delightful composition! I had no idea there was a link between YOU and this fine gentleman! As a schoolgirl, I recall alllllllll the little boys had transistor radios to their ears listening to the World Series Games. Even someonw who knew nothing about baseball, knew his name! 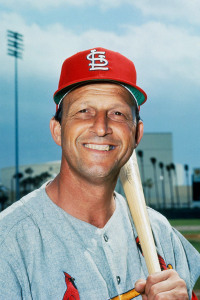 Stan Musial was a very popular personality back then! You are much to kind, Audrey. Actually I did meet him once. 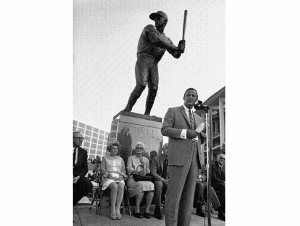 He spoke in Joplin someplace and dad took me to introduce me to him. He told him my name and Stan signed a baseball, “From Stan to Stan.” I was only 12, but I can still see myself standing in front of him while he signed the ball, like it was a dream or something. I regret that I did not try to meet him at one of his restaurants, or visit him and tell him the story. It probably would have been an encouragement to him. 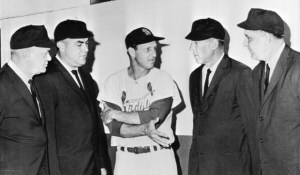 Great article Stan, my wife called me when she heard about Stan “THE MAN” passing away knowing that I used him as an example when I coached Baseball; two key things that I will alway remember about Stan (1) was his great sportmanship – there was a time when the an umpire called him out on a pitch that well off of the plate, Stan never said a word or even look at the umpire just put his bat on his shoulder and walked back to the dugout. 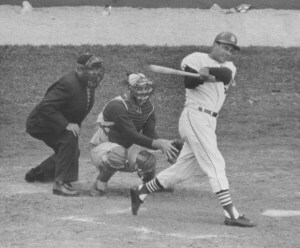 I told my players about the best hitter in baseball never argue balls and strikes; it will only make you look bad (2) Hitting is about being comfortable and seeing the ball, today sports writers be critical of his stance, movement of the bat and the swing; there will never be a better example of hitting. Last Saturday The Heavens opened up and “The Man” hustled it. Also I was up your way Monday – Wednesday wanted to call but every minute was scheduled, plus it was so cold on Michigan Avenue don’t know how you guys stood it. 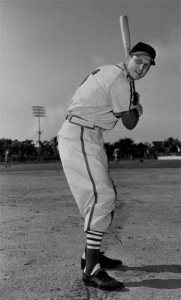 Really enjoy your blog and forwarded it on to a couple baseball fans that are mature enough to remember when baseball was a game and enjoyed.